For us marketers working in the B2B realm, Account-Based Marketing can be a huge timesaver when it comes to executing our marketing strategy. The reason why is it allow us to more effectively go after big opportunities by grouping our leads at an organization into an account. And, when done right, it can lead to huge results and a much greater ROI. In fact, 85% of marketers claim that account-based marketing leads to higher results. But that’s just the thing. Setting up an effective account-based marketing campaign can involve much trial and error. And even if we think we have the right recipe, there’s always room to improve our efforts. That’s why implementing KPIs that allow you to measure your progress is important. These insights will enable you to fully optimize your account-based marketing efforts, as well as demonstrate the success of your program. However, while there exists an array of things you can measure, not all KPIs are created equal. That’s why we’ve listed a few essential KPIs that will enable you to measure your success and continuously evaluate where you can tweak and enhance your account-based marketing program, as well as a few you can just ignore. Email Open and Click-Thru Rate: First things first – if you want your ABM marketing campaign efforts to be successful, you need to make sure your leads are receiving and opening any correspondence they get from you. If you notice your email open and click thru rates are dropping, it might be a sign that you need to change your subject lines, content and CTAs to better appeal to your audience. Content Engagement: If it isn’t already, content should be a key component of your account-based marketing efforts. But, in order for your content to be effective, it needs to be a hit with customers. That is why you should measure the engagement of each content piece you send out to your audience. This will enable you to see which pieces they’re finding useful, and which could be scrapped or possibly reformatted to better suit their needs. Form Fills: Gathering data is an important part of nurturing and engaging your leads and customers. 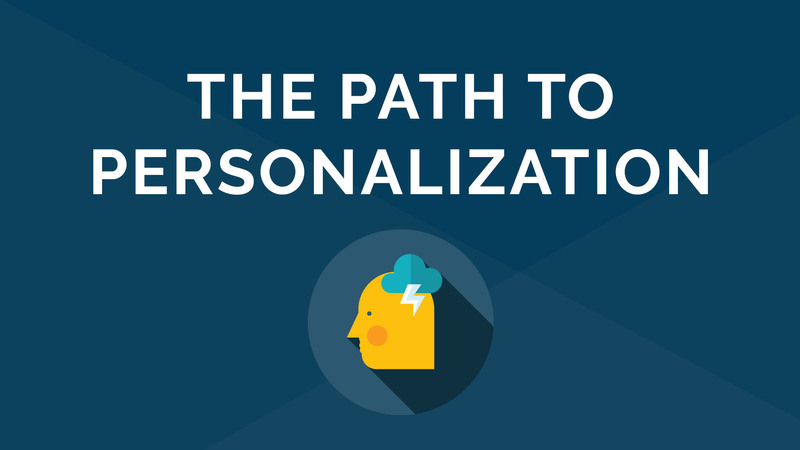 After all, you can’t personalize your marketing or effectively convince them that your solution is the right fit for them if you at least don’t know a thing or two about them. And gathering insights becomes even more crucial when you’re dealing with an account because you need to determine who the best person is to engage and how at every step of the customer journey. Tracking your form fills allows you to see if your method of gathering information is working, and adjust your efforts if it isn’t so you’re collecting the insights you need to do your job. Conversions Throughout the Customer Journey: If you are doing a good job at nurturing and engaging your customer, there should be several CTAs and opportunities for them to convert throughout the customer journey. Make sure that you’re measuring the conversion rate for each CTA so that you can better keep track where customers are falling off the grid throughout the sales cycle. Having this information will aid you in refining the customer journey and improve your results. Phone Calls and Demos Scheduled: If you work in marketing or sales, you know that one of the hardest things to do sometimes is to schedule a time to meet with your lead. And this step is crucial, because it’s many times what takes you one step closer to sealing the deal. Therefore, it’s needless to say, that tracking your phone calls and demos scheduled is crucial to measuring your ABM marketing success. Deals Closed and New Customer Acquisition: At the end of the day, your goal should be to drive sales and acquire new customers. So, you should be keeping track of both. This metric is important because it does not only allow you to evaluate the success of your campaign in its entirety, but also compare your performance to years past. Account Health and Customer Retention: Your account-based marketing efforts should not stop when the seal the deal. At the end of the day, for your business to be sustainable, you need to have your current customers coming back for more. To ensure that this is so, keep an eye on the health of your accounts by measuring customer satisfaction. Surveying your customers and collecting NPS scores is a good way to determine how satisfied they are with your product and provide them with a way to give you feedback, so your team knows how and when to take action. Not only that, the responses you gather will keep your team members in tune with what customers want and need, so they can make sure that any future product or service updates match those interests. On top of evaluating specific accounts, you want to look at your customer retention rate to determine how you’re doing across the board. If you’re struggling to keep customers from year to year, it may be time to reevaluate some of your initiatives and practices to prevent that trend. Number of leads: This is not to say that leads are not great. You definitely want more leads from year to year. But if you’re having success generating demand, only to have these leads fall off the grid later on, than you’re not doing your job right. Instead, of measuring leads, try looking at marketing qualified leads, or those who have gone through a vetting process and achieved a specific score before being handed off to sales. Sales Cycle Length: Although you should be on the lookout for places where you can shorten the length of your sales cycle, you should also keep in mind that nurturing takes time. Every customer is unique and may have different approval processes they need to go through before signing a contract. However, you should keep track of how many customers convert if you offer a special promo or something else to entice your lead to sign. These type of tactics could lead you to similar results in the future.